Walk a mile in my cleats. Whether you’re an athlete who dons the court, the field, or the pool, whatever your sport, you understand that DOING is different than watching. So who better to teach you than those who have gone before you? At Victory Sports we believe that experience makes a better teacher. That’s why all of our trainers are previous athletes. All of them have participated in team sports, many at the collegiate or professional level. We teach what we KNOW. We understand your sport from the participation side as well as the educational, technical, and kinesiology perspective. 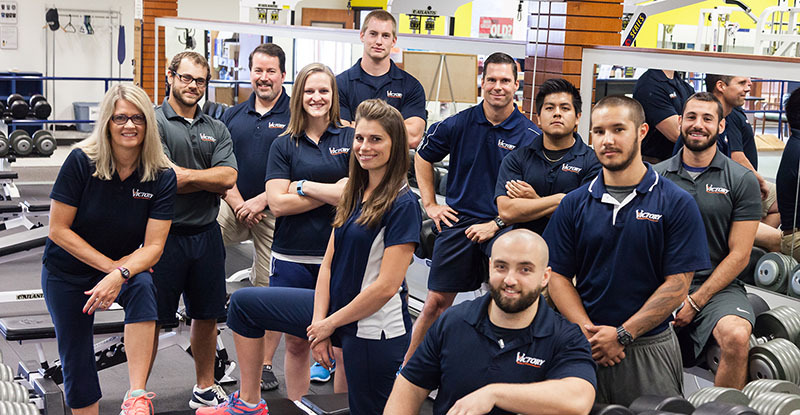 Here at Victory Sports & Fitness, we offer training programs that enforce the interdependence of appropriate exercise, proper nutrition, and injury prevention for athletes of all levels. Our Performance Coaches perform Sports Performance Assessments of individual and team players in order to compile tailored fitness programs. Our trainers understand that each sport mandates a different diet– that’s why we supplement exercise regimens with specialized nutritional counseling that will help you better understand the nutrient demands of different activities. To get you started, we offer our Jumpstart Package offering a variety of sports in order to boost your agility, velocity and power. This includes one session for an initial assessment and two follow up sessions to ultimately find the best fitness routine, nutritional diet and overall personalized direction maximizing your potential. Contact us to inquire about getting started.